Creating emotionally based psychological narratives, Jennifer Balkan paints the figures that are completely implemented into the background, using the bright colors and invasive brushstrokes to express the detail. 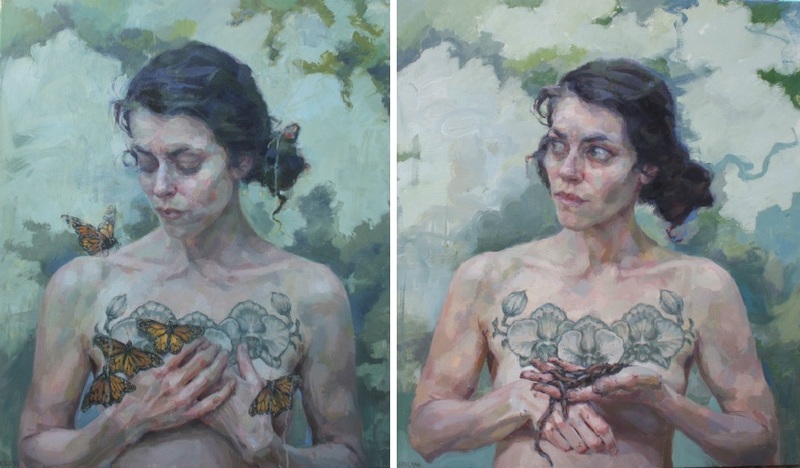 She aims to capture emotional state, to represent the inner feeling through outer expression or body movement. Exploring human profiles, Balkan approaches her characters from the aspects of psychology and sociology. Painting the model, she imagines that build up layers from the core to the final surface of the skin. Expressing the personal concept, Balkan has always been inspired by woman appearance who are the main characters in her work. 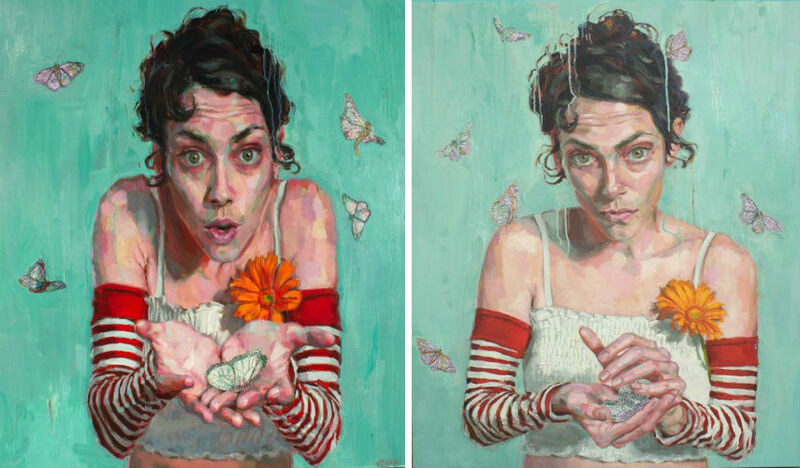 Recently she started to paint in series, presenting her closest friends and family. Although she has been drawing all her life, painting became her full-time occupation in 2001. She studied behavioral neuroscience at Lehigh University in Pennsylvania and received Ph. D in sociology from the University of Texas. Though she had an intellectual satisfaction and professional confirmation, she all the time craving for creative expression. In 2002. she finally decided to quit her job and take painting lessons. Her education has a crucial influence on her painting. With the vocational and scientific approach to her subjects, Balkan reveals the development of its interpersonal behavior. 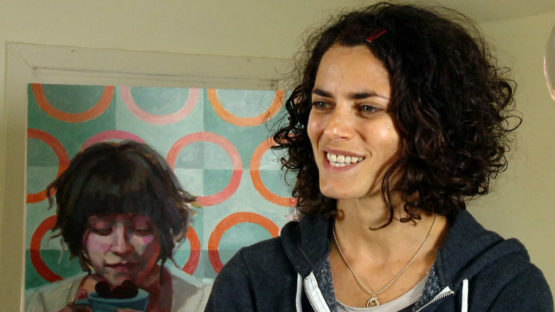 Her work has been exhibited in galleries all over The United States and internationally. Active in conducting workshops, Balkan also work as a teacher of figurative oil painting in her studio. The great advantage of her as a painter who creates portraits is the ability to feel the intimacy with everyone she paints. Developing the relationship with her models, Balkan can easily get into their mind. Psychology is the ever-present part of her creational process. In the essence, she is the scientist who investigates psychology and sociology using the painting as her medium. Transforming her scientific studies into two-dimensional art pieces, she strives to catch the emotional state of her subjects. Her wishes are to create the relationship between the paint and the viewer. Her scientific side is still examining the phenomena of stir senses in front of the colored canvas. On one of her exhibitions, a young woman couldn’t resist the emotions and started to cry when she saw the painting. The artist was touched by that moment because that was exactly that she wanted to achieve – to see the truthful reaction of the objective viewer. The dialogue, which has begun between artist and the paint, should be finished in the relation between viewer and the work. Jennifer Balkan is represented by Abend Gallery.